Hello. This is IMANO CAFE! 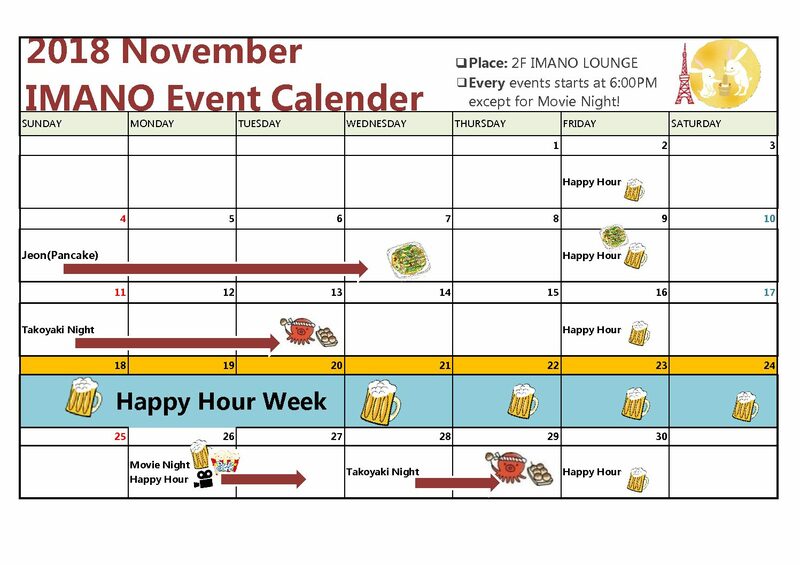 Our Event Calender of November has been completed! Do you wanna join us and make great memories? So many guests from around the world come our hostel. You can make new friends through the many events at IMANO CAFE. Don’t miss these fun events.